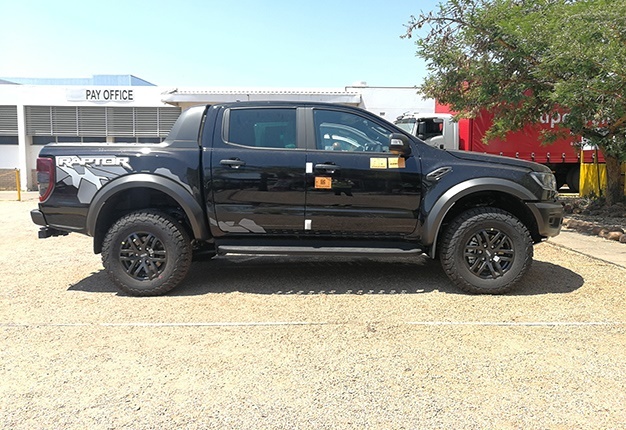 Wheels24 was invited to help assemble the first few pre-production Ford Ranger Raptors that were to be sent off for shakedowns in all four corners of the globe. Challenge accepted. 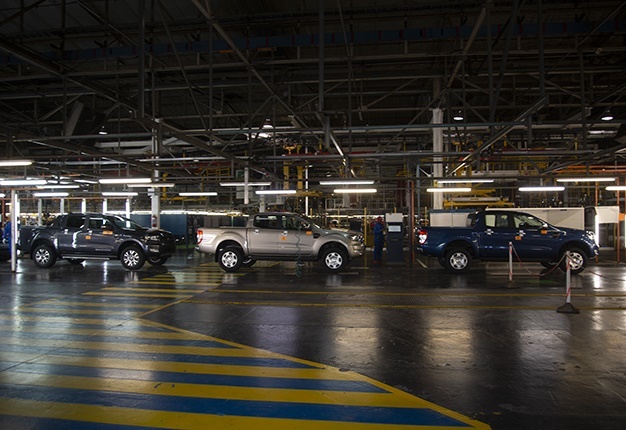 This isn’t your typical vehicle or product launch by a manufacturer. This was going to be a factory visit with a difference as we would actually be getting our hands dirty for a change. 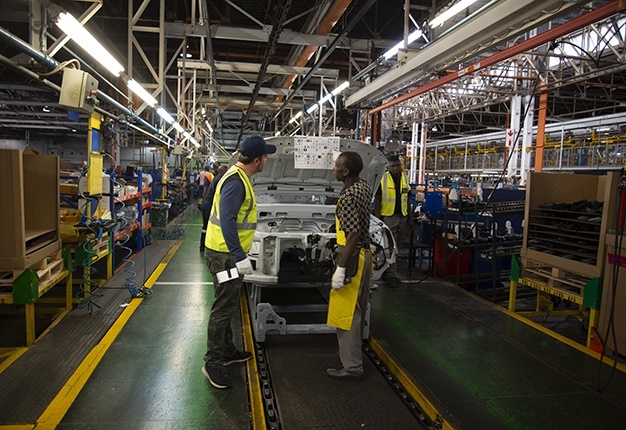 On the line, tools in hand, sweat along the brow, performing real manual labour in a car factory; we reported for duty before 7am at the Silverton factory in Pretoria, the first shift of the day. Safety first - an exercise of this magnitude and significance meant that the local brass had to jump through flaming hoops to ensure our safety. They were taking no chances, so journalists were asked to show up with long pants, full-length sleeves and closed shoes. We were treated to a proper safety briefing. Just think about the last time you saw somebody walking and talking while using a mobile phone… probably a few minutes ago in your office right? Here that’s majorly frowned upon and a serious infringement to not just your own health but the safety of others. Once you pass over the factory threshold you’re required to be fully cognisant of your surroundings. That means no WhatsApp or Snapchatting while you’re walking to wherever you're needed. Then we were led to our safety equipment. Ford set aside the clothing necessary for our respective stations. My kit comprised of a hard hat masquerading as a fashionable denim peak cap, gloves, and a reflective jacket. Oh, and elastic bands to protect freshly-painted body panels against belt buckles, rings and watches. Wheels24 was to join another publication under the watchful eye of Bra Jacob, a FMCSA employee since 1986 who mans the station responsible for securing the taillights to the load bay, fit and fasten the inside and outside mechanisms of the Ranger tailgate handle, clip the release cables onto said mechanism and secure the cables against rattling with foam inserts against the metal. In that order. Easy right? Well yes, sure. Except that this all has to be done within two solid lines demarcating the operational borders of this particular station. Bra Jacob, who’s been working at the factory for longer than I’ve been alive, saunters over to the supply rack his station shares with the very next one, from which he grabs the handle. The order sheet, which looks like a periodic table of car parts, tells him everything he needs to know about the vehicle he's about to work on, including what colour it’s supposed to be, as well as the country it’s headed for. Back at the workstation, there are three parts bins in which there are black screws (for fastening the taillights), silver screws (for the tailgate handle) and the inner handle mechanism. Jacob grabs a handful of screws as well as the backing for the handle and proceeds with his task. This should take just over a minute, but Jacob dispatches it in 48 seconds. 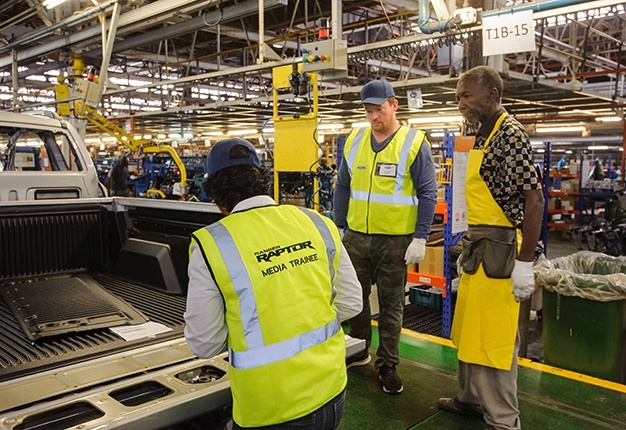 It's my turn, and to be kind, Jacob only lets me grab the handle from the supply rack and fetches the rest for me as I nervously wait for the next bakkie to roll up on the line. I’m not allowed to start my task ahead of the demarcated space, which he reminds me of. No jumping the line. As the rear end of the Ranger crosses the mark I fumble with the screws and gun. "Relax, the tip is magnetic," he says. I don’t line up the handle and opening mechanism quite properly on the first try and struggle to position the two as the next white line approaches. I tighten the left side, which is not the desired outcome, as Jacob tells me that that in the event of an item not being exactly in the right position and the one side is already tightened, then the other screw won’t go in and we’d have to remove the first one and start from the beginning. "We work smart, we don’t work hard," he informs me. So he shows me how to just get the screw to catch some thread before tightening the next one. I managed to clip the tailgate’s release cables in just in time and as the Ranger starts to roll into the next station, the foam inserts are peeled off their paper and the glued side stuck against the metal on the inside so the cables are cushioned roughly in the centre of each one. Then the first Ranger, with an electric tailgate switch in the cabin, arrives. The inside mechanism is a lot bulkier than the manual ones and the unit is positioned slightly differently in the tailgate handle slot. 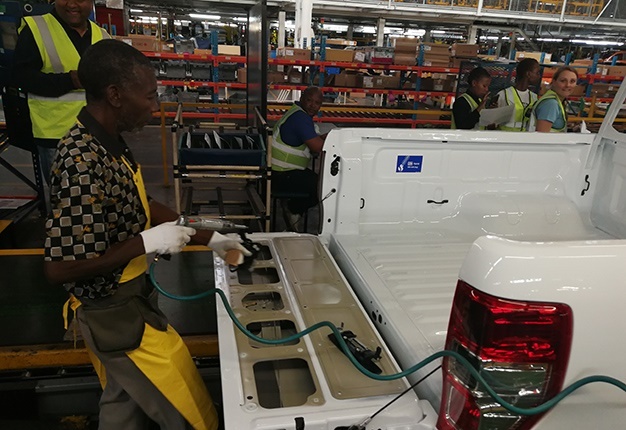 That’s all okay, but what throws me is that the wiring already present in the bakkie’s shell has to be connected to the opening mechanism and plugging the unit in takes some getting used to. Fortunately, we don’t ever have to reach for the big red buzzer that stops the entire line if something leaves our station in an uncompleted state. After the lunch break our master technician, Jeffrey, ushered us off to another station, where more complete Rangers and Ranger Raptors were treated to the fitment of interior plastic panels that cover the A and C pillars, the lower section of the B-pillar plastic that hides the safety belt, and rear-seat storage boxes. The always-smiling Mpho showed me how to clip in the storage box, which isn’t always as straightforward as it sounds because the carpet is still fairly loose at this stage. First, there’s a foam insert that will help ensure that the plastic box doesn’t rattle against the can metal. Then the box itself goes in – lined up by the placement of two plugs near the transmission tunnel. You can bump these down with your balled-up fist, or in Mpho's case, with a rubber mallet. The box is then secured with plastic pins that you also need to hammer down. The plastic pillar covers are almost pretty much plug and play. For an extra bit of plant education, at the end of our shift, we were led to the rattle and squeak test strips, where completed Ranger, Everest and Ranger Raptors models took on cobblestones, axle twisters, ropes and metal strips across the surface. 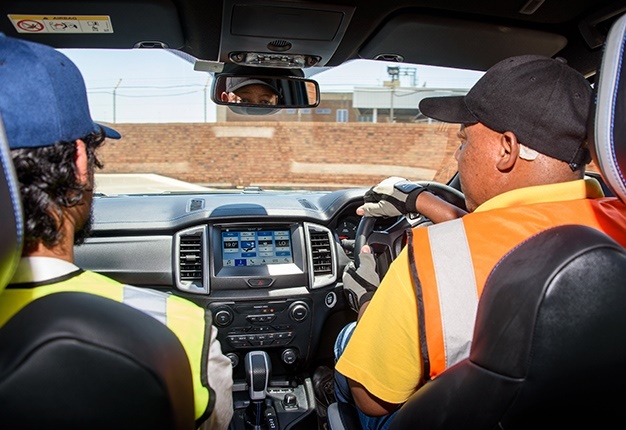 The driver, Klaas, explained that we’d need to listen out for anything that sounds out of the ordinary, like metal on metal clanging or shearing or anything really. But after one run up and down, all I could think about was how about his kidneys managed to survive that sort of beating for eight hours a day, let alone how to fine-tune his ears must be to detect small noises above the rumble of fat tyres and diesel thrum. There was a collective sigh of relief when we were told that our duties for the day were done. And when I last looked at the Raptor’s on board thermometer, the readout displayed a toasty 31 degrees. I was hot and sweaty, and tired. And we’d only been exposed to this sort of work for half a day. 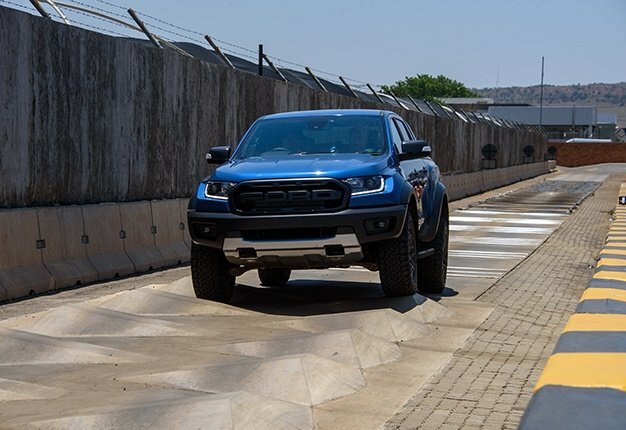 Most importantly, the group came away with a new respect for what goes down at a factory before we, the motoring press, get to put a vehicle through its paces. For the past 13 years, the Qashqai has played the role of the urban crossover and paved the way for many crossover's to follow.